Baldur Brönnimann made waves with his 10 things he would change about concerts post, but he didn’t bring up the most important thing! …in the midst of the first allegro came a passage I had known would please. The audience was quite carried away — there was a great outburst of applause. What and subscriptions will surge? This is pretty ludicrous, the London orchestras I remember would sometimes tune between movements. I think it is both comforting and anticipatory when an orchestra tunes, and besides, the lights, temperature effect an instrument, so tuning in the environment you are actually playing and collectively will give them the best opportunity TO BE IN TUNE with each other, which is point. Out of tune orchestras will certainly turn people off, not on! Actually one of the more substantive suggestions but extremely problematic especially because of back-light when people are holding their phones up to record which would be distracting to others behind them etc..This is something I will address within the ONE thing that needs to change. I agree that we don’t always need to print the whole program, and encores are important at times. There is a large segment of the population that needs and wants the warhorses, because they are the horses we rode in on and what got us here and they want to know they are going to hear them before they commit. 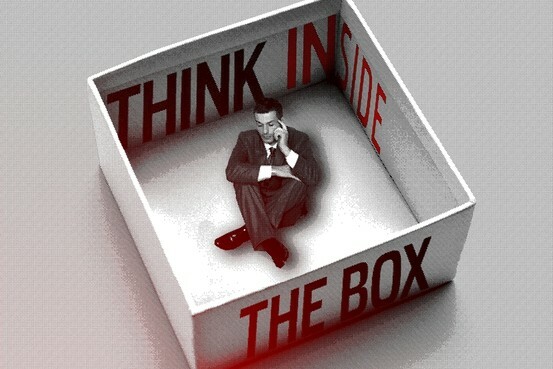 I believe that rather than focusing predictability as the issue, that relevance, context and creativity is what will help by thinking inside the box to make it bigger, not outside the box to experiment and lose a large core of your audience along the way. Certain programs need more information to attract people so there needs to be flexibility with this idea. Again largely superficial in terms of real change since there is a lot of creativity in this area has been happening for a while. Right, why not install spigots on the seat backs so the audience member doesn’t have to get up! Spillage, drunkenness, ice crunching, slurping (but only in the soft passages), not to mention the lack of cup holders in the Concertgebouw, bring it on! A seriously bad idea except in one instance…. I am really pleased to say that this is happening more and more (at least in the USA) and seems to be making a tangible difference, personal engagement is everything, so since this is really already happening, it’s already a change that has been made. It’s called a Family Series which many orchestras do and again there is a place for this….. Some might say that if you put all of his ideas together, the cumulative effect will be significant change and audience increases. I disagree, it’s not a cumulative effect when you add these mostly superficial things together the same way 10 cups of icing do not make a cake! What about an audience chamber in which every seat/row of seats can be moved, removed and reconfigured. The floor which is traditionally raked could have a mechanism to level it out for cabaret style seating with tables. Moveable panels to block off sections for smaller intimate concerts. This way every kind of concert can be accommodated with almost no compromises. Plus it irks me no end that we put disabled and wheelchair bound patrons, on the side or in the back, long time disabled patrons have to sit in exactly the same spot every time which must be extremely frustrating. What if 20 wheelchair patrons want to come at once? If you can remove an entire row, any row, they can all sit together, pretty much anywhere in the hall and they can feel as though they are simply just patrons! How about a “smart seat”? A seat in which the arms can flip to reveal cup holders if you are doing a Led Zeppelin style show where drinks can be allowed in. A screen on the back (like at the Met) that can move towards the patron so that certain designated rows for patrons who want program notes live can have them without disturbing people who don’t. Make it a touch screen so that people can buy tickets to future concerts that are advertised on the screens or from the stage. I mean subscribers could log in and have a personal profile and interact, send comments, ask questions etc. The options are endless thanks to technology and yet for a traditional concert make sure those who just want to see a concert can do that because the screens in their section go dark when the concert starts. Have some seats with no screens at all. Again, build for this, because it is a reality. Have an area, above and behind built in such a way that people can actually choose the seats in which the use of phones (other than for making calls) is allowed and wont distract anyone. Maybe make the seat screens Bluetooth compatible so they can use the screens instead of their phones. Because of the cup holder option they can bring drinks there too and with it obscured from the rest of the audience people might also be more apt to dress more comfortably/casually also. Build another area that people can just come and go so if they are late it’s not a big deal, and if they want to leave early they can, or even if they just don’t like a work they can go get food/drink etc..Remember though if every seat can be removed and every row configured, then the whole hall can be transformed back to the 19th century. We scream that we can’t get the precious young adults to come to our concerts and one of the reasons is childcare and the expense, so how about childcare at the hall, even programming that relates in the childcare facilities (check out River Oaks Chamber Orchestra on my recommended list, they are the pioneers of how to successfully do this). It seems as though the pressure of having to raise money for a new hall results in many wanting to achieve the wow factor with its appearance. I mean if you can’t see it from space “then why should I give a donation to support it”. Here also it seems that with this pressure, these halls (I am thinking of Disney Hall in LA) look incredible, but I wonder with clever design (see in part 2 of the final “The Underground” my favorite in which almost the entire facility is below ground) if a hall can be spectacular without being intimidating and without the perception that it is only for those who are well heeled. Obviously if a hall like this is built that has this kind of flexibility, then it will mean operations will change significantly since the demographic in one particular concert will be different from another and so much reconfiguring will be done on a daily basis. Communication within an organization will have to be much more adaptive and organic. However, I cannot help but think that in the constant stream of posts that want to change concerts the old adage of you cannot reinvent the wheel cones to mind. Concerts can be enhanced, nuanced and should be, but we cannot stray too far from what we do best in order to capture some mythical majority who would attend if we tune backstage. What I am suggesting is not the reinventing the wheel, more like the reinventing the tire to that it can work in all conditions. Happy Holidays to you all. The Tobin Center, just built for the San Antonio Symphony, has the flexible seating you describe. Not only can the fixed seats disappear, but the levels can be configured in a variety of ways in just 15 minutes. That is great news! Let’s hope this trend continues, it is our audience that is diversifying, and by recognizing that we capture their attention and keep more of them.